Chai has a special place in my heart, for it was in India that I had my first cup of loose leaf tea in the form of Masala Chai. So when I was approached to review Tipu’s Instant Chai, I was curious and skeptical at the same time. Because my first experience was so pure and authentic, I was not entirely sure that “instant” would be able to stand up to my expectations for quality. The tea is self looks a lot like hot coco mix, brown and chalky. The aroma of it is spicy, with the smells of cinnamon, cardamon, coriander and ginger as the most prominent. The instructions call for just milk and any sweetener you prefer. 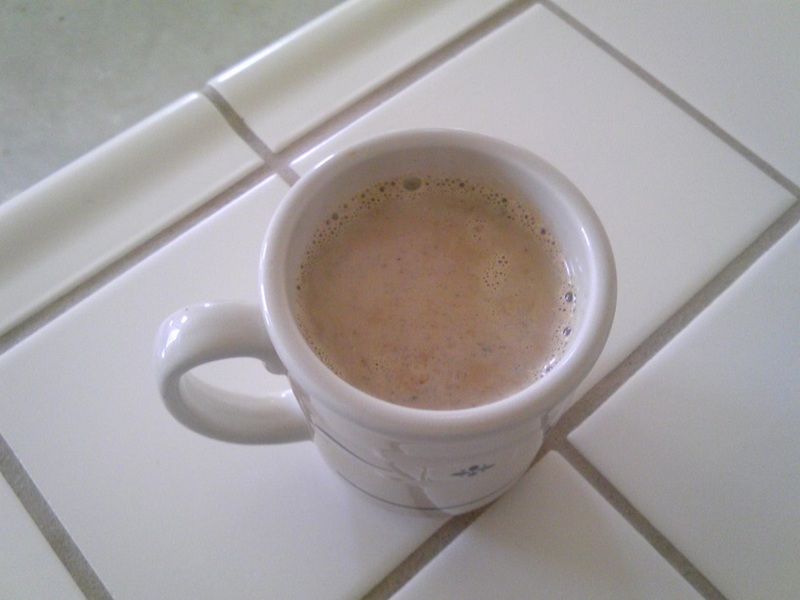 So after heating 8 ounces of milk to about 212° F (100° C), I added the powder into my cup, mixed, and sweetened it. The first taste is a classic chai that I have come to love. The ending taste on the other hand was something I think was a combination of ginger and black pepper. The final verdict, to me, it was a little of a disappointment because of the ending taste of this tea. It was a little too overpowering and unpleasant to me. Don’t take my word alone though, I encourage you try it yourself and read the review our friends over at Little Yellow Teapot review of Tipu’s instant tea as well. This entry was posted on September 22, 2010 by Jordan M. Williams. It was filed under Tea Reviews and was tagged with Black pepper, Cardamom, Chai tea, Cinnamon, India, instant tea, Masala chai, Tea, Tipu's Instant Chai. Either way, Chai is not for me. Instant or “slow.” I just don’t enjoy all the added flavors, which completely dominate the taste of the tea leaves. Besides I don’t like these spices in tea – although I do like them in cooked foods, such as curries. I had a different experience with it and actually thought it was fairly good! I will be posting on it hopefully by tomorrow. Hope you check it out!